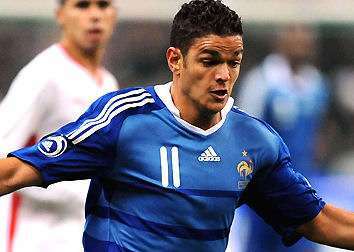 Archive for tag: Hatem Ben Arfa. Benny’s 3rd round FA Cup goal against Blackburn Rovers from January 2012. You may have heard already that Newcastle United’s Hatem Ben Arfa is one of ten candidates for the FIFA “Puskás Award” for the best goal of the year. However, this competition is also up for a public vote on FIFA’s official website, and I wouldn’t be doing my duty if I didn’t encourage all you Toon fans out there to get on the site and vote! Newcastle United vs Olympiacos pre season match banter! Two evenings, two games, two Newcastle United teams! Venue: Estádio Algarve, Faro, Portugal. Kick off: 8.45pm local and UK time. UK TV: Live on ESPN UK. Hello, good evening and welcome to our match banter feature for this evening’s game, which sees the Magpies facing current Greek Superleague champions, Olympiacos, at the Estádio Algarve, Faro, Portugal. “It’s a little bit different to last week, we’re now three weeks into the pre-season training. Now we go into a competition format and the manager will play two different teams each night. France begin their warm up schedule for the Euros at 8pm tonight against Iceland at the Stade De Hainaut in Valenciennes. The match will be televised in the UK on ESPN. A number of players deployed by Les Bleus are regarded as fringe players who can still force their way into the final French squad for the European championship opener against England in June. Mathieu Debuchy, Gael Clichy, Yoann Gourcuff, Marvin Martin, Hatem Ben Arfa, Mathieu Valbuena, Jeremy Menez and Olivier Giroud are all among those who could get a look in at Valenciennes. Striker Loic Remy has been ruled out of contention for the Euros. Yohan Cabaye will also play but his place in the final squad is thought to be secured.